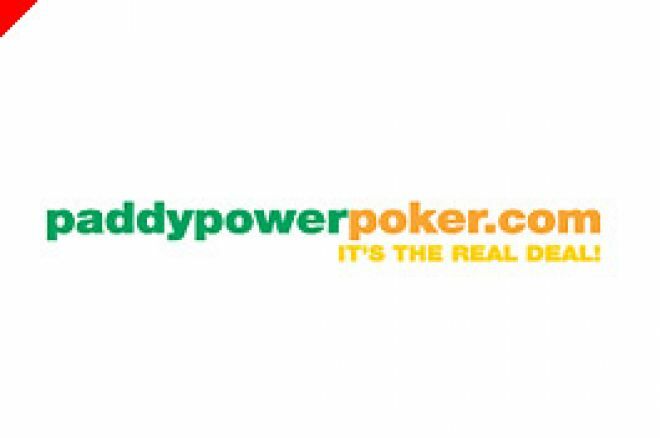 The Ireland Vs Great Britain Charity Heads-Up Poker Challenge saw Paddy Power Poker man, Karl Hutson, vanquish his Blue Square opponent James Dempsey in a ‘Battle of Tribeca network’ heads up grudge match. The first International Charity Heads Up Council (ICHUC) tournament was held on Saturday 8 July 2006 in the Fitzwilliam Card Club, Dublin for the benefit of the Poker 4 Charity and OnePercentPledge charities. The event raised almost €2,000. Despite Karl's victory, it was not enough for the Ireland team, who slumped to a 8-3 defeat in the 22 man team event. Eleven players from each team competed over a variety of games designed to test the strength-in-depth of each country’s skills: eight games of no-limit hold em, one pot limit Omaha game, one pot limit Omaha high-lo game, one pot limit seven card stud game. The Irish team was sponsored by paddypowerpoker.com and the Great British team by bluesqpoker.com. Karl was giddy with glee recalling his superior skills which enable him to send Mr. Blue Square back to Britain broke, he said, "There was a 5000 starting stack with 10 minute blinds. I got a 2000 lead after the first level but ran AQ into AK allin preflop. His AK stood up and I was down to the felt but grinded it back up over a couple of levels until I reversed standings with about 8000 vs his 2000. I got him all in preflop with AK vs his K10 and he hit a 10 on the flop. A raggy turn but a beautiful Ace on the river finished it." Karl took a further joking swipe at Dempsey, "James was a great lad but he should obviously give up playing poker. My team were mostly deranged, probably from going to the pub before the game. If I was managing this team I’d sack them all. Except me of course. And maybe Marq O’Neill." A return match is scheduled for 29 September in Newcastle, England. Fly to The Canaries with Ladbrokes!